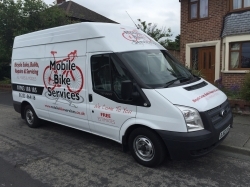 Now selling a full range of New Bicycles inc. Probike, Claud Butler, Dawes, Viking, junior bikes, BMX, racing, mountain, hybrid, road to suit all ages, fully assembled and delivered to your door with free 1st 4-6 week service, please phone or email for competitive prices. Plus Pre-owned bikes in Stock. 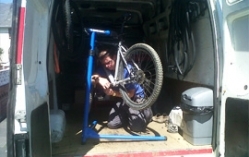 Steve Young is the face of the business and is a bicycle mechanic with more than 20 years experience, working in a bike shop in Lancaster, on all different makes of bikes. Steve has recently completed enhanced CRB checks.